We're blessed by her arrival and look forward to Sydney's baby-sitting skills to progress... she's already proven to be a very loving and caring big-sister. 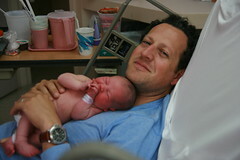 Thanks for all your well-wishes! 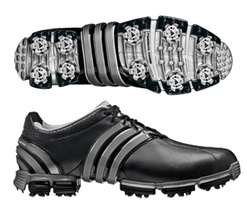 The most comfortable golf shoe I've ever worn is the Adidas Tour 360 3.0. After a long "scramble" tournament with a "20" and a "30" that took six hours to complete, I was ready to play another 18. If you're a golfer, you know that after a round like that... you're ready to give up the game. Great stability, cushioning and grip (even with the "stock" spikes.) Adidas does a good job with these shoes and I think they've made a giant leap over past attempts. They're not bad to look at either! ;) Available here.